Can I delete PDFs directly from disk while viewing text? Is there any existing program helping to delete PDFs directly from disk while viewing text? 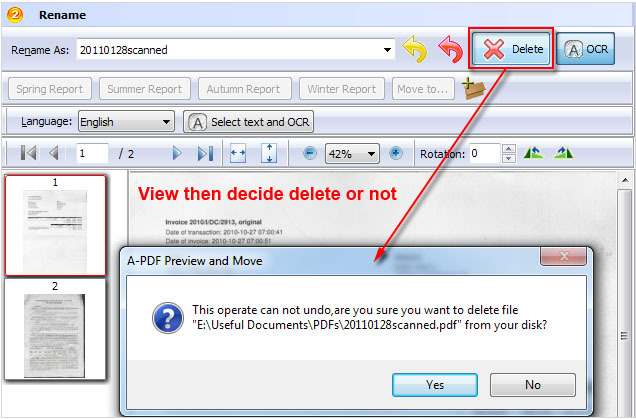 A-PDF Preview and Move - Preview content for multiple PDF files, then OCR page content to rename and define dest folder to move.